As the end-of-year examinations approaches, including major national examinations such as PSLE and O-levels, students may find themselves snacking more than usual. How is it possible for students to snack healthily? Here are 5 bite-size tips to help you choose healthier snacks while studying. 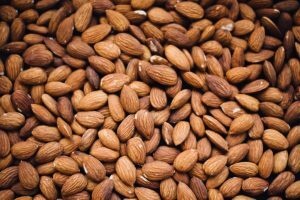 Nuts such as almonds, cashews, pistachios and walnuts not only has a crunch factor, but are also delicious and contains healthy fats! They are often rich in mineral salts, such as potassium or magnesium that are essential in our daily diet. They are also low in calories – perfect for a midnight snack. Fruits such as blueberries, orange, grapes, strawberries, apples or cranberries are rich in antioxidant. Aside from boosting your immune system to keep you from falling sick, they keep your skin in good condition! 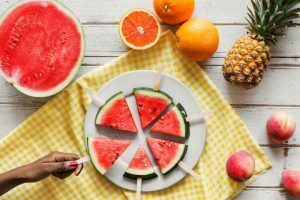 Fruits are also relatively low in calories and have low glycemic index (GI), which means that the sugar is released into your bloodstream slowly after consumption of the fruit. As we all know, our staple food largely consist of a huge portion of carbohydrates. 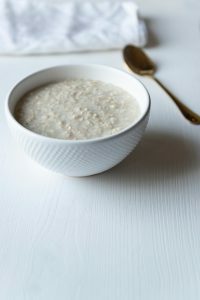 By choosing healthier forms of carbohydrates, such as wholemeal pasta, wholemeal bread, rolled oats, they contain more fibre and are more nutrient-rich. Wholemeal bread are often lower in calories and helps us to feel fuller for a longer period of time. If you are not lactose-intolerant or love ice cream, yogurt is a great alternative as a snack. 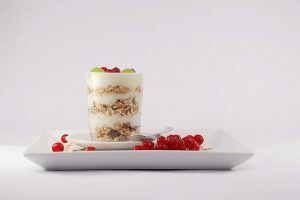 Rich in protein and calcium that is important for growth, yogurts also often have probiotics added to them. The probiotics help to ensure our gut has a balance of good bacteria to keep infections on bay. Besides, yogurt taste great with fruits! For those who find it hard to avoid chocolate, dark chocolate would be a better alternative to milk chocolate. Needless to say, dark chocolate should still be consumed in moderation as they are still relatively high in calories. 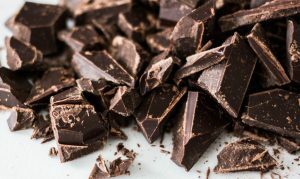 Choose dark chocolate products with a cocoa percentage of 70% or more, which are lower in sugar and are richer in antioxidants and minerals.